Adrienne is thankful to be a part of the unique production that is "Dernier Cri;" her very first with Third Cloud from the Left! Adrienne earned her degree in Theater from Belmont University in Nashville, TN and has been fortunate to act in the creative theatres of SF since she moved here two years ago. Adrienne is deeply grateful to her friends and family for their love, support and understanding. She especially thanks her husband Taylor who is her unwavering fan. Graduated with a BFA in Dance from Cornish College of the Arts. She has performed with The Thrillpeddlers, Peaches Christ Productions, RedHots Burlesque, and Hubba Hubba Review. She has choreographed for The First Church of the Sacred SilverSexuals and the San Francisco Album Project. When she's not onstage, you can find her doing hair at Glama-Rama Salon. Jean-Paul is excited to be making his Third Cloud From the Left debut. 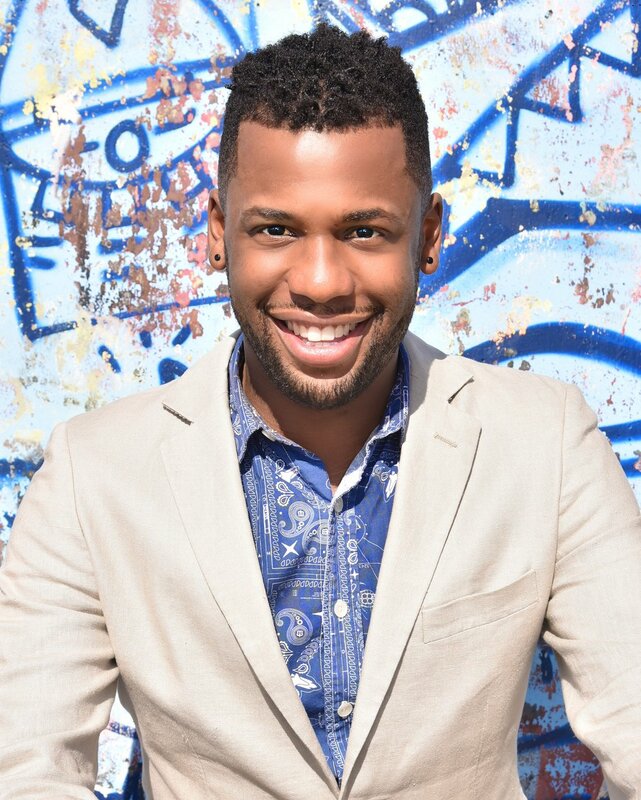 He has has a strong classical background and currently sings countertenor with many groups including Philharmonia Baroque, Pacific Mozart Ensemble, Pacific Collegium, The Grace Cathedral Choir of Men and Boys, The Al McNeal Jubilee Singers, L.A. Master Choral and L.A. Opera Chorus. His musical theater experience includes roles including Chantal in La Cage Aux Folle, Schroeder in You're a Good Man Charlie Brown, Lulu in Cabaret, Max Detweiler in The Sound of Music, Eddie Flagrante in Zombie Prom, Andy Lee in 42nd Street and Jamie in The Last Five Years; He has also performed in productions of Don Giovanni, Gianni Schicchi, Hair, As the World Turns, No No Nanette, has served as music director for I Love You're Perfect Now Change and as director for The Wizard of Oz. His Bay Area theater experience has mostly been with 42nd Street Moon, Bay Area Musicals, theTRIBE Productions, Cinnabar Theater and TCFTL. When he's not doing theater, he can be seen around town performing as his alter ego, Effervescence Jackson. He enjoys dancing, playing viola in SF Civic Strings and playing pinball. He thanks his family and family of friends for all their love and support in his tireless venture to entertain and create art. Carol has performed with various Bay Area performance groups for the past 9 years. Most recently she has performed with The Thrillpeddlers and worked as their Costume Master on The Untamed Stage, Shocktoberfest 17, and Amazon Apocalypse. When not performing she is running a screen printing supply business with her husband and teaches youth printing workshops. Some favorite stage credits include Club Inferno, Shocktoberfest 16, SideShow, The Who's 'Tommy', and Long Day's Journey Into Night.